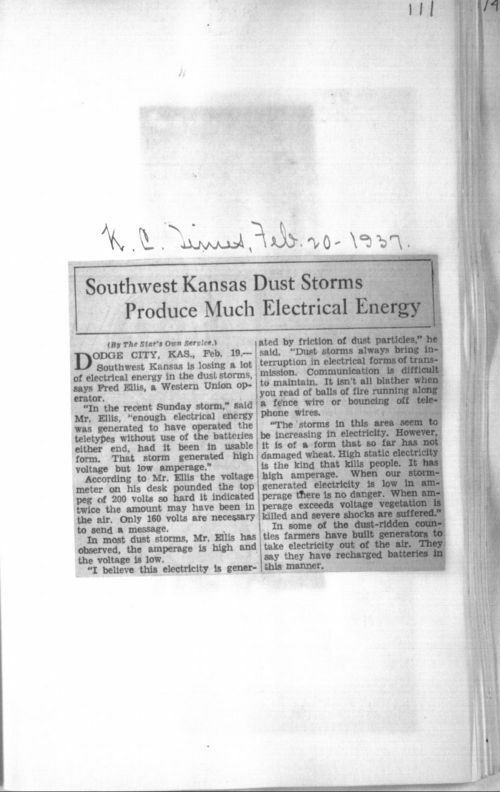 According to this article, the dust storms that swept through Kansas during the "dirty thirties" generated high levels of electricity. Fred Ellis, a Western Union telegraph operator who was interviewed for this article, contributes this rise in electricity to the friction caused by dust particles swirling together into dust storms. This interesting article would be particularly fascinating for students who enjoy science; it could also be grouped with other documents selected for this standard that discuss the effects of these storms on the Kansas population.